David Horovitch was born on August 11, 1945 in London, England. 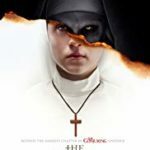 He is an actor, known for The Young Victoria (2009), 102 Dalmatians (2000) and The Nun (2018). He was previously married to Jane Elizabeth Gwynn Roberts.